The National Kidney Foundation Serving Maryland and Delaware will hold its 16th annual Greater Baltimore Kidney Walk, Sunday, May 6, at The Weinberg Y in Waverly in Baltimore (900 E. 33rd St., 21218). More than 5,000 people are expected to step up to raise awareness of kidney disease, organ donation and the importance of early screening and healthy lifestyle for those at risk. As the 9th leading cause of death in the United States, kidney disease affects 9,300 Marylanders. Risk factors for kidney disease include diabetes, high blood pressure, heart disease, obesity and family history of kidney failure. People of Hispanic, African American, Native American, Asian or Pacific Islander descent are at increased risk for developing the disease. Plus, Hispanics are nearly 1.5 times more likely than non-Hispanics to develop end-stage renal disease (kidney failure). Blacks and African Americans suffer from kidney failure at a significantly higher rate than Caucasians – more than 3 times higher. The National Kidney Foundation Serving Maryland & Delaware is pleased to announce Celebrity Walk Ambassador for the Greater Baltimore Kidney Walk. 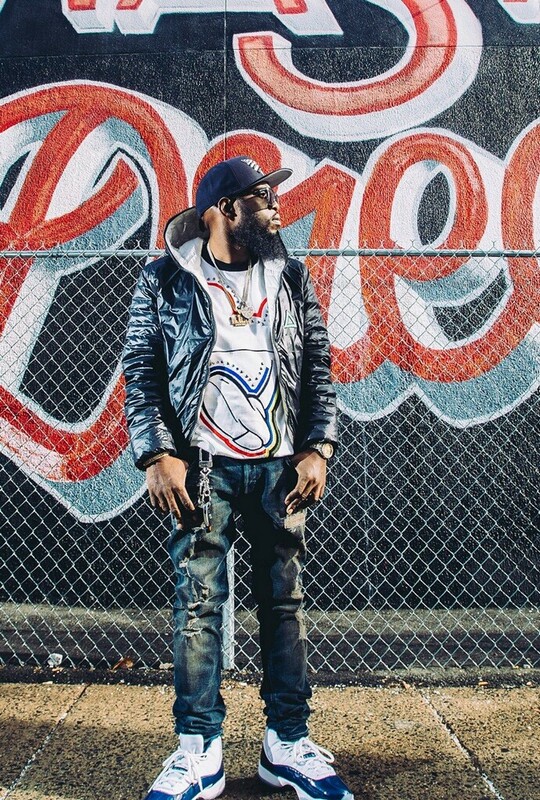 Freeway, best known as a Roc Nation recording artist and member of hip hop super group, State Property, will return as the Walk’s celebrity ambassador. A recipient of the National Kidney Foundation Patient Advocacy Award, he will pose for pictures, sign autographs, give a special Rap performance and showcase Free Will, a documentary detailing his battle with kidney disease. Check in will begin at 9 a.m., when guests will be greeted by “The Band” Marching Unit, Captain Dee-Fense, Major Offense and Homer the Home Depot mascot. Walkers are encouraged to dress as their favorite comic book, cartoon, game or pop culture character. Following warm-up exercises and a brief opening ceremony, the Walk will kick off at 10 a.m. Participants can choose from a 3-mile route or 1-mile path for strollers and wheelchairs. Post-walk highlights/activities include a cool down by Tina Brown of Divine Fitness and Health Services, Inc., photobooth, fitness stations by MAC @ Harbor East and University of Maryland at Baltimore, vendor exhibits, the Home Depot KidsZone, facepainting, t-shirt decorating, prizes, giveaways and other fun ways to recognize kidney survivors and donors as superheroes. Complimentary refreshments will be available and participants also can purchase items from the B’more Greek Grill, Jimmy’s Famous Seafood, 2 Bold Chefs and Kona Ice food trucks, which will donate 15 to 20 percent of sales to NKF. Funds raised through Kidney Walk will directly support NKF’s local patient services, education and research efforts. Participation is free, but donations are encouraged. Everyone who raises a minimum of $100 will receive a commemorative Walk t-shirt. Additional recognition gifts – including jackets – will be awarded for meeting various fundraising levels. For online registration, visit www.kidneywalk.org. To learn about sponsorship or volunteer opportunities, call 410.494.8545 to speak with executive director, Pattie Dash. To learn more about resources the Foundation’s local programs and services, visit www.kidneymd.org.